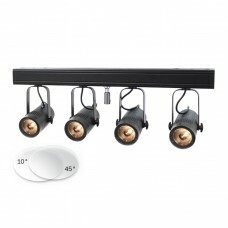 This 12W quad-colour pinspot features a 4° beam angle and multiple modes, perfect for table spotting..
A perfect replacement for the traditional pinspot. 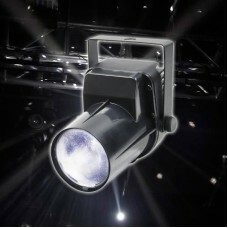 This LED Pinspot is ideal for bars, clubs, produc..
Add elegance and class to your event with the Equinox Curve MAX. 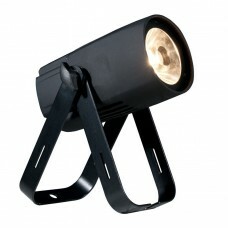 This stylish, all metal bracket is ..
Add elegance and class to your event with the Equinox Curve. 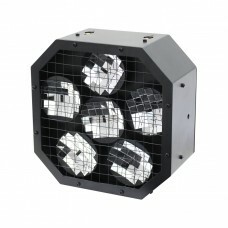 This stylish, all metal bracket is suit.. Event Spot Bar RGBW The Event Spot Bar features 4 individually controllable pinspots and is ide.. 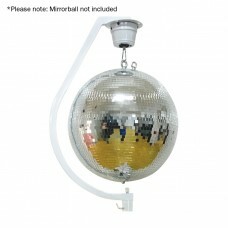 Event Spot Bar WW The Event Spot Bar features 4 individually controllable pinspots and is ideal f.. 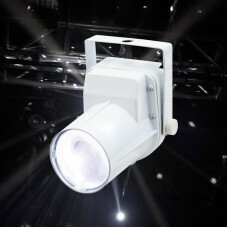 Event Spot DLThe Event Spot compact LED Pinspots are powered by a 15W LED that has the brightness an.. 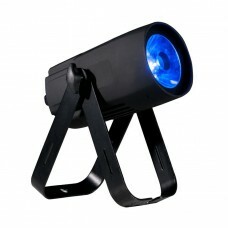 Event Spot RGBWThe Event Spot compact LED Pinspots are powered by a 15W LED that has the brightness .. 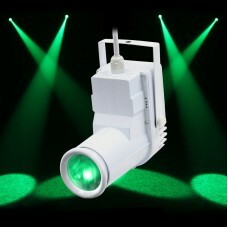 Event Spot WWThe Event Spot compact LED Pinspots are powered by a 15W LED that has the brightness an..
GB-1 ReflectabeamTransform your beam effects with this innovative effect from eLumen8. 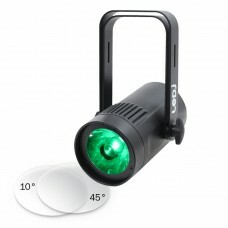 Inside the ro..
Saber Spot RGBWThe Saber Spot RGBW is a compact Pinspot with smooth RGBW color mixing from one 15W 4..
Saber Spot WWThe Saber Spot WW is a compact Pinspot with a 15-Watt warm white LED. 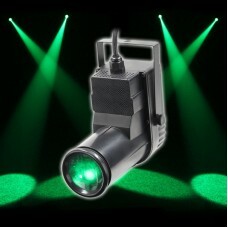 Features DMX-512,..